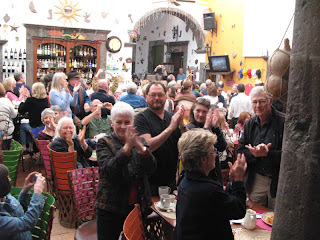 Today was a big day in San Miguel. Hundreds of us gringos piled into restaurants, cafes and bars to watch the inauguration ceremony among other Americans. 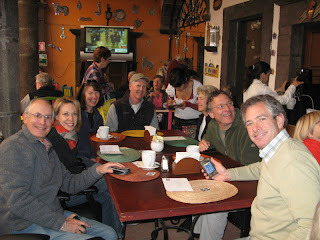 Linda and I joined friends at a restaurant called Los Milagros. Probably an appropriate name, as it means literally "The Miracles." Four big TV's entertained the throngs - probably 200 in this restaurant alone. We learned that the event was sponsored by the Democrat Club, the third largest club of its kind in the world, outside of the US. The two largest are in London and Paris. 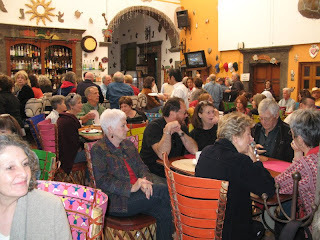 Amazing that a small town like San Miguel has a club with 700 members! 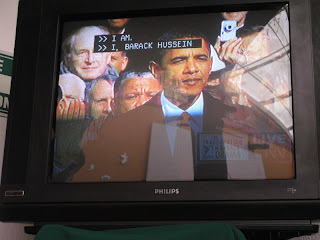 The crowd was loud when appropriate, and appropriately quiet during the inauguration speech. 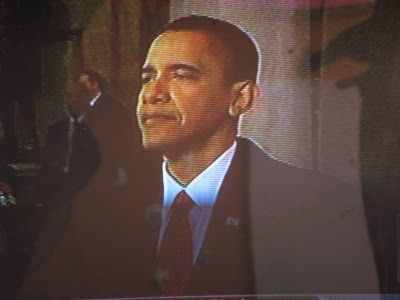 I thought they were even reasonably respectful to outgoing President Bush, considering his current popularity rating. 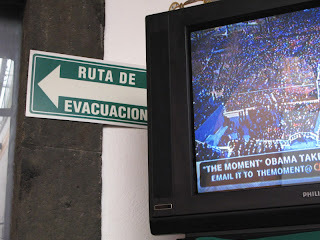 I noticed that the television set we were watching was flanked by two signs. 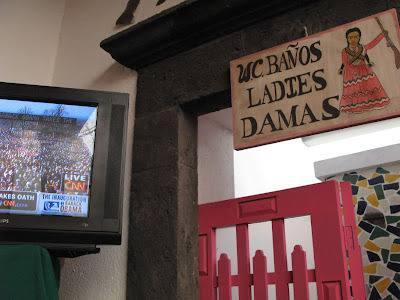 One for the ladies room; another showing the evacuation route in event of fire, etc. Somehow, that also seemed appropriate, given the speed at which the Bushes seemed to be leaving the White House. 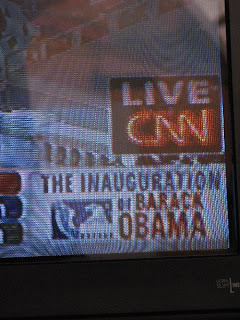 In fact, one TV shot showed a moving van in front of the White House loading boxes. I sure hope the Bushes didn't steal towels and ash trays! 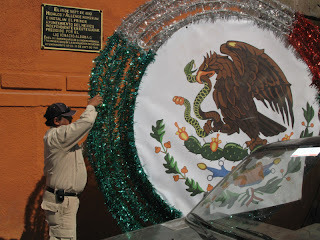 As Linda and I left, we passed some workers carrying a huge illuminated sign for the big fiesta in town tomorrow - Allende Day - celebration of the birthday of the man for whom the town is named, and one of the leaders of the Mexican independence movement. 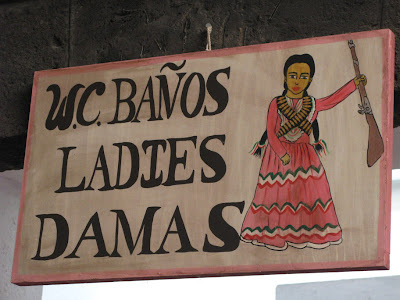 Note the eagle on the sign - not like the dignified US eagle, but a more cartoonish eagle with a snake in its beak. 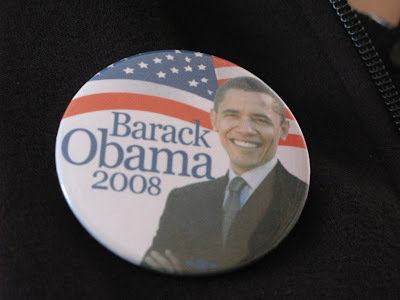 Congratulations to our 44th President, Barack Obama! You have our admiration, our respect and our support.